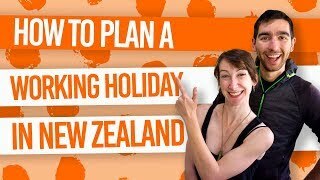 How to save money on a cruise to New Zealand. Cruises are not the first the thing that comes to mind when thinking about “budget travel” in New Zealand. However, with accommodation, transport and often food included, exploring New Zealand by cruise is often a lot greater value for money than what you think. What’s more, there are some easy ways to make extra savings while on your New Zealand cruise. We’ll go through some of the best ways to save money on a cruise to New Zealand. The New Zealand summer cruise season is between October and April, while a shorter winter cruise season runs from April to July. While shorter cruises, usually running from Australia, visit New Zealand’s lesser-known ports, larger cruises will visit these main ports in New Zealand: Auckland, Tauranga, Wellington, Akaroa and Fiordland. 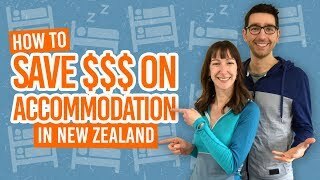 We’re going to start off with a big truth bomb: New Zealand activities are incredibly expensive when booked on your cruise. Many cruise passengers are livid when they realise that other tourists on New Zealand tours and activities have paid less than half the price of cruise ship passengers. Even when heading to the nearest visitor centre at ports, there are often big signs saying “cruise specials”. Guess what? That just means they’re twice as expensive than the normal price. Do yourself a favour: research and choose your own activities and book directly with the activity provider. Find out more at The Essential Guide to Booking Activities in New Zealand. Plus, check out the BackpackerGuide.NZ DEALS tab for exclusive deals on New Zealand activities linking directly to the activity providers. Nobody likes to pay for WiFi, let alone cruise ship WiFi prices. If you want to shave off some cents on using the onboard WiFi, tell your friends and family that you’re going to be disconnected while you’re at sea. (You never know, you might enjoy it). If you really need to access the Internet, we suggest waiting until you arrive at the port. The port cities in New Zealand all have areas where you can access free WiFi. Get some tips on accessing the Internet with our guide on How to get Internet and WiFi in New Zealand. Cruise ships will offer “shore excursions”, which are set tours around the port location. Of course, this comes at an extra price that’s not always that reasonable. You can save money on a cruise to New Zealand by exploring each port destination independently. Like we mentioned above, book New Zealand tour and activities yourself, hire a bike or car and see the greater area. Better yet to save money, check out some of the free attractions. More on that in the point below! New Zealand is a country where some of the best experiences are free. All the main ports in New Zealand that cruises visit have free things to like getting amazing views from Mt Eden in Auckland, exploring the stunning Botanic Garden in Wellington, or checking out the “Rhino Walk” in Akaroa. We’ll link up to some free and cheap activity articles on each port city name: Auckland, Wellington, Tauranga, Dunedin, Akaroa and Bay of Islands. Cruise liners are usually pretty strict on the number of beverages you can bring onboard, often have a complete ban on bringing in alcohol. Plus, buying drinks onboard is more expensive than in cities so you’ll find that you will end up spending a lot on drinks when buying individually. Luckily, cruise liners off “drink packages”. Everyone’s got to drink water at least, so choose one of the drink packages which often has a water package for the basics. Of course, a cruise is all about treating yourself so you’re probably going to want to drink some alcohol too. Pick one of the packages for alcoholic beverages too so you don’t go over budget. Power tip: if you are unsure how much you are going to drink during the cruise, buy drinks individually for the first day or two, then buy a drink package for the remainder of your time if you think it is worth it. If you’re on longer cruise trips, it’s likely that you’re going to want to wash your clothes at some point. Don’t worry! Cruise ships are more than happy to offer a laundry service, which some charging per item of clothing. Washing your clothes yourself (or even using the onboard launderette where available) is an easy way to save money on cruise ships. Your room will have a sink basin, so pack some laundry detergent and away you go. A “repositioning cruise” is where a cruise ship needs to relocate, usually at the beginning or end of the season. This is a great option to not only save money but try something a little different than the usual itinerary. These sailings can often be as much as half the price of original sailings! For seasoned cruise ship voyagers, this tip is sort of a no-brainer, but for those of you who are new to the whole sailing thing, you actually have a choice in cabins! The lowest price cabins will be what’s called an “interior cabin” which means you’re inside the ship with no window views. However, cruises are not all about staying in your cabin all day, so you’ll most likely find that you don’t need to spend more for a premium cabin to have a good time. For those of you who love to get pampered (it’s your holiday, after all), find out when is the cheapest time to have a spa treatment. Commonly, it’s during port days. On the other hand, some cruise ships have “quieter” times where they’ll entice passengers with cheaper deals. Ask when is the best time to book a spa treatment for the best discount! Most cruise ship tickets come with meals included, so you can save heaps by simply eating onboard while at port, rather than in the port cities. However, if you can’t resist stuffing yourself, then check out these cheap eats in the main ports: Auckland, Tauranga and Wellington.